Under the aegis of National Organ and Tissue Transplant Organisation (NOTTO), Directorate General of Health Services, Ministry of Health and Family Welfare, Govt. 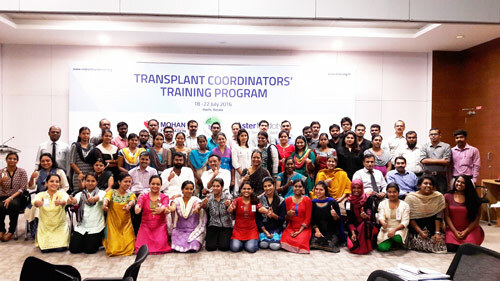 of India, MOHAN Foundation in collaboration with the Kerala Network for Organ Sharing (KNOS), conducted a one week Transplant Coordinators’ Training Programme from 18th to 22nd July 2016 at Aster Medcity, Kochi, Kerala. This was the first time that such a training programme was held in Kerala. There were 51 candidates not only from Kerala, but also Tamil Nadu, Karnataka, Puducherry and Delhi. 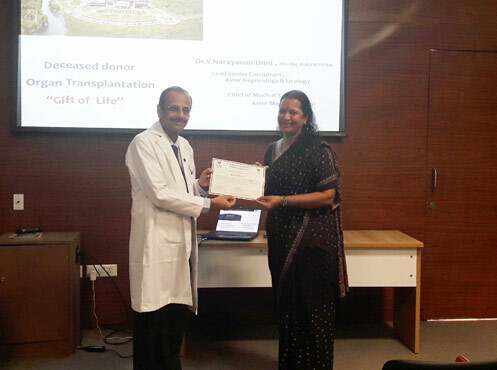 They received their certificates with a unique registration number from NOTTO signed by Prof. Dr. Vimal Bhandari, Director, NOTTO, Dr. Thomas Mathew, State Convenor, Deceased Donor Multi Organ Transplantation Programme, Govt. of Kerala, and Dr. Sunil Shroff, Managing Trustee, MOHAN Foundation. 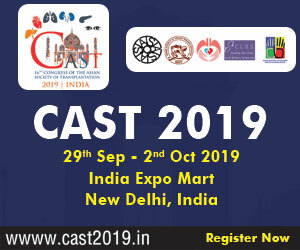 Dr. Noble Gracious, Nodal Officer, KNOS, Mr. Ramesh Kumar, Chief Operating Officer (COO), Mrs. Gracy Mathai, Quality Manager, Dr. V. Narayanan Unni, Chief Medical Officer and Dr. Mathew Jacob, Senior Consultant, Hepato Pancreato Biliary and Multi-Organ Transplant Surgery, Aster Medcity were present at the inauguration. MOHAN Foundation was represented by Mrs. Lalitha Raghuram, Country Director, Dr. Sumana Navin, Course Director and Mrs. Sujatha, Manager – Information Systems. 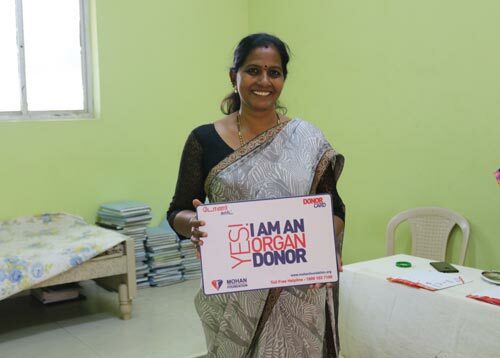 On day 1, Mrs. Lalitha Raghuram threw light on the basic concepts of organ donation and transplantation. Dr. Noble Gracious spoke about the work that KNOS was doing. 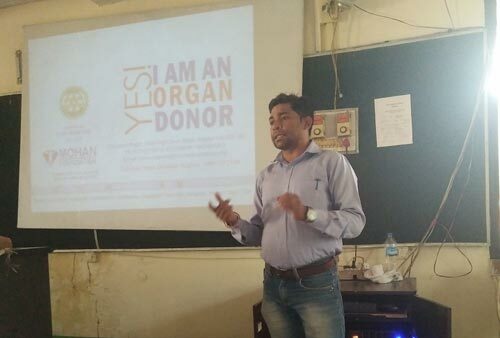 He shared real life scenarios and challenges in the deceased donor transplantation programme in Kerala. 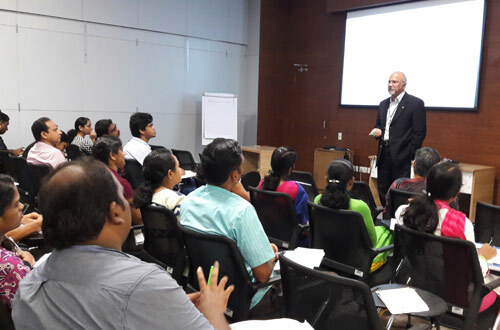 This was followed by sessions on History of Transplant by Dr. Philip G. Thomas, the legal framework by Dr. Sumana Navin, an overview of the deceased donation programme in India, state based organizations and NGOs working in the field by Mrs. Sujatha. A film ‘Phir Zindagi’ produced by ZTCC, Pune was screened. It was greatly appreciated by the participants. On day 2, Dr. Sangeeth P S and Dr. Lakshmi Kumar spoke on the diagnosis and certification of brainstem death, and maintenance of a potential deceased organ donor, respectively. 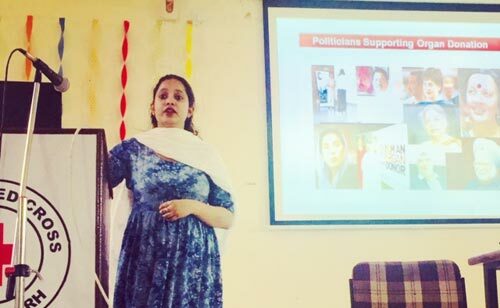 Films on the topic were also screened. Mrs. Lalitha Raghuram took the session on approaching families for organ donation that included a film by NHS Blood and Transplant, UK with examples of both poor and good approaches. 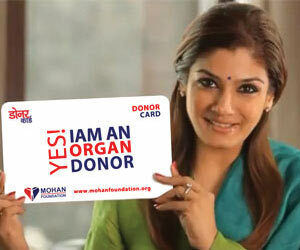 Following this, a liver transplant recipient Mrs. Mehrathaha shared her experiences – pre and post transplant. 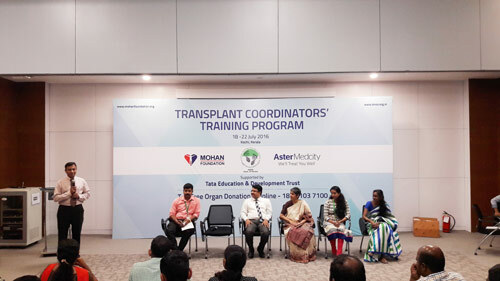 It helped the participants clearly understand the dramatic transformation that a transplant brings about. Dr. Mathew Jacob spoke about ‘Liver failure and liver transplantation.’ He also showed videos on liver retrieval and liver transplantation. There was an extensive Q&A session thereafter. Dr. Umadathan outlined the role of Forensic medicine doctors and other personnel in organ donation in medicolegal cases. Day 3 started with Dr. V. Narayanan Unni talking lucidly about kidney diseases and the increasing need for renal replacement therapy with India envisaged to becoming the diabetes capital of the world by 2030. Dr. Kishore P A spoke about kidney transplantation and the advantages that robotic surgery offered in the field. 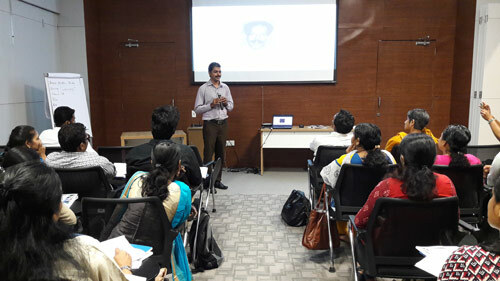 Dr. Prashob Mohan took the session on eye donation and eye banking. He said that 44,000 corneas were retrieved in 2015, but only 21,000 were utilised. He requested everyone to ‘Speak! Write! Encourage!’ eye donation. It was inspiring to hear from Dr. Subramania Iyer about the first hand transplantation in the country that was carried out at Amrita Institute of Medical Sciences (AIMS), Kochi in 2015. 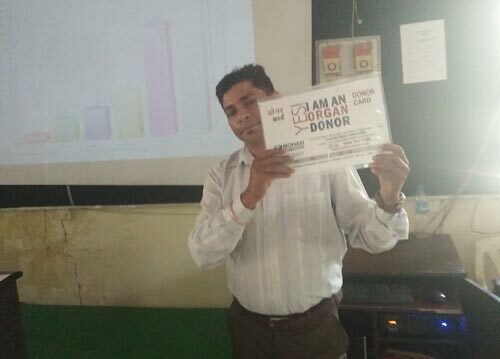 The participants also had the opportunity of listening to Mr. Prasad, Transplant coordinator at AIMS and Manu, the first hand transplant recipient. Mrs. Sujatha spoke on ‘Deceased donation in government hospitals – the Chennai experience.’ She said that the importance of public sector hospitals participating in this programme could not be overemphasised. The Rajiv Gandhi Government General hospital was a trendsetter in that respect. Dr. Sajan Koshy made a concise presentation on heart valve donation and transplantation. Mrs. Lalitha Raghuram shared donor stories and this was followed by a ‘Role play’ by the participants. 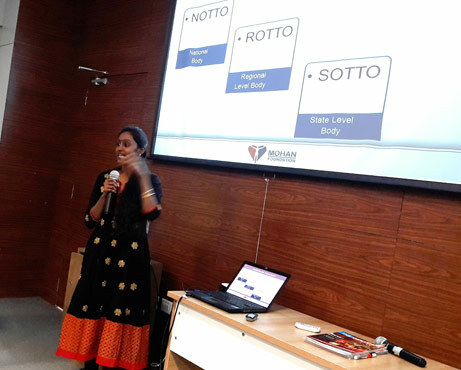 Mrs. Saranya S, Project Manager detailed the working of the KNOS registry – organ allocation, information on outcomes and sharing of costs. 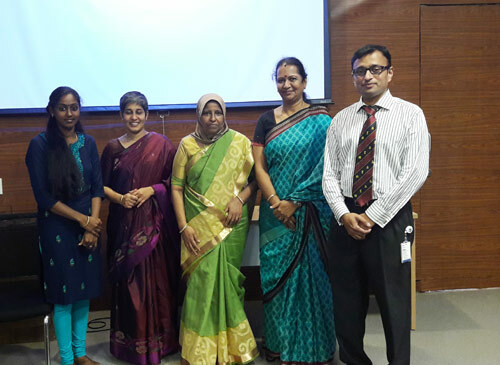 Mrs. Jayasree Prasad, Transplant coordinator, AIMS spoke about ‘Living related organ Transplant.’ Senior transplant coordinators Ms. Shilpa P P, Aster Medcity and Mr. Aneesh P V, KNOS shared practical insights in the session ‘Champion speaks’. The participants enjoyed the videos that were played as a part of ‘Public Education on organ donation’ by Mrs. Sujatha. 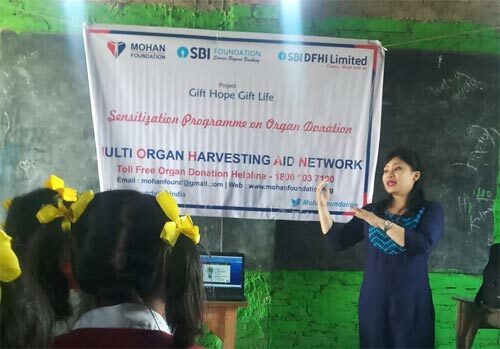 The final topic was ‘Ethical issues in organ donation and transplantation’ where Dr. Sumana Navin urged the participants to abide by the principles of medical ethics in their work. The panel discussion on the last day, moderated by Dr. Mathew Jacob, gave the participants a chance to air their views and interact with experts on a variety of issues. The panelists were Dr. Noble Gracious, Dr. Shiv K. Nair, Rajagiri Hospital, Dr. Sudhindran, AIMS, and Dr. Binu Upendran, Lourdes Hospital. At the valedictory function, two of the participants Ms. Thushara K Madhu and Ms. Anitta Francis gave feedback about the training. 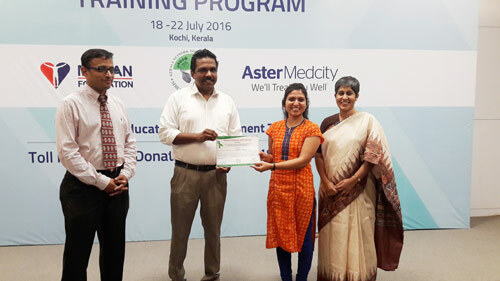 Dr. Noble Gracious, Nodal Officer, KNOS and Mr. Ramesh Kumar, COO, Aster Medcity presented the NOTTO certificates to the participants.